An organization called Idaho for Wildlife hosted a hunting derby between Jan. 1 and Jan. 4 that resulted in the deaths of two dozen coyotes for the mere purposes of obtaining their fur or for taxidermy. The Idaho event came on the heels of a wolf killing in Utah during Dec., in which "Echo," the first wolf seen wandering about the Grand Canyon in 70 years, was likely the victim after crossing state lines and being mistaken for a coyote. The two tragedies added up to what was a very bad holiday season for wild canines. The Humane Society's Idaho director Lisa Kauffman called the event, which occurred in Salmon, Idaho, a "wolf massacre." Though no wolves were killed, in which more than 125 hunters competed for cash prizes for whoever killed the most coyotes. 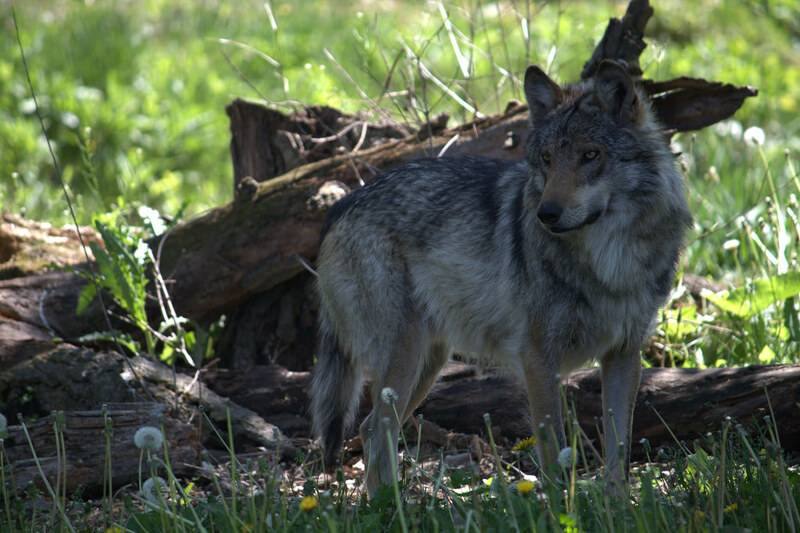 Though Idaho for Wildlife did have some positive-sounding aims - they noted "we tailor it around this time of year for family, to let the kids get out to learn to hunt, gun safety, and survival skills" - the purpose of hunting coyotes remains questionable as, despite the group's claims to the contrary, coyotes are not terribly fierce or problematic predators. The event also gave hunters ample opportunity to kill wolves anyway, as is legal in Idaho - the wolf kills simply would not be worth any "prizes." Many animal rights activists feel that hunts like these toe a dangerous line, as many wolves are mistaken for coyotes and accidentally killed, the most recent case being in Utah on Dec. 28. The wolf, which was believed to be the same one photographed near the Grand Canyon earlier last year, is part of a species that was only just removed from the Endangered Species List in 2011 (as many feel, against better judgment). Kauffman decried the hunting of coyotes in Idaho, as it was done for pure sport. She remarked, "Rewarding shooters, including young children, with prizes takes us back to an earlier era of wanton killing that so many of us thought was an ugly, ignorant, and closed chapter in our history." Brian Ertz, president of nonprofit animal rights advocacy group Wildlands Defense, said, "People honestly believe that sterilizing the landscape of 'predators' will enrich their economy and preserve their culture." But "Americans in general are becoming more compassionate toward non-human animals, and our appreciation of ecology and the contribution of wildlife communities is growing. This awareness and compassion threatens any culture that predicates itself on an appalling disregard for the suffering of sentient beings."